At McGregor PACE, we provide services that address the medical, rehabilitative, social, and personal care needs of Cuyahoga County’s seniors. Using a community-based approach, PACE enables eligible participants to remain among familiar surroundings while receiving the help they need. Our all-inclusive services are provided both in our facilities and in the participant’s home. These services are personalized to meet the needs of our participants and are coordinated by an interdisciplinary team of health professionals. To meet our participants’ needs, we are flexible when providing our services. Different participants need different things from the PACE senior care program – some need assisted living in the home while others are seeking an adult day care option where they can get out of the home and socialize while enjoying activities. Our goal is to keep participants remaining as healthy and independent as possible. See our Services page for an exhaustive list of our services. McGregor PACE’s senior care centers are where PACE participants can come during the day for medical services and activities. PACE participants can enjoy time at our day health centers between one and five days a week. McGregor PACE provides transportation for participants to and from their home. At McGregor PACE, we truly believe in our mission and that’s why we do what we do, and our vision guides us in every action we take. Resolving the shortage of affordable senior housing with services and doubling the amount of PACE participants in Cuyahoga County in five years. 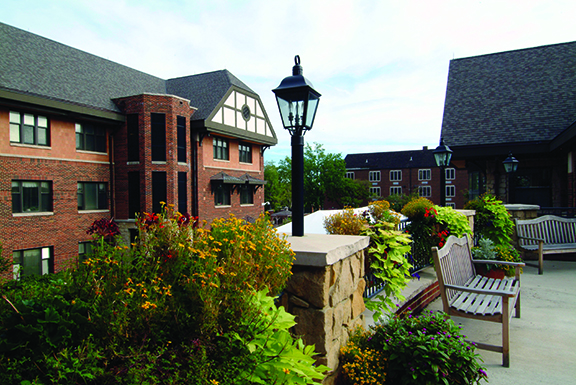 McGregor values support for the development of affordable senior housing in Cleveland, training and education of the workforce in aging services, and improving the quality of life for seniors. Are you looking for more information? Check out our brochure. If you still have more questions, reach out today!